“LUNAFEST was established in 2000 by LUNA, the makers of the Whole Nutrition Bar for Women, to simultaneously promote women filmmakers, raise awareness for women’s issues, and support worthy women’s nonprofit organizations throughout the U.S. and Canada. Entry filed under: Uncategorized. 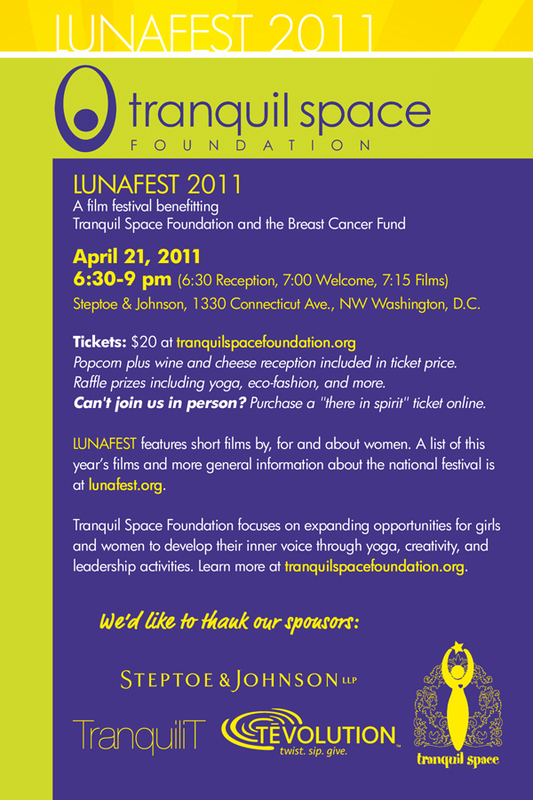 Tags: event, events, film, LUNA, LUNAFEST, Tranquil Space Foundation, women.